The wisecracking comedian is certainly no longer on the D-list. 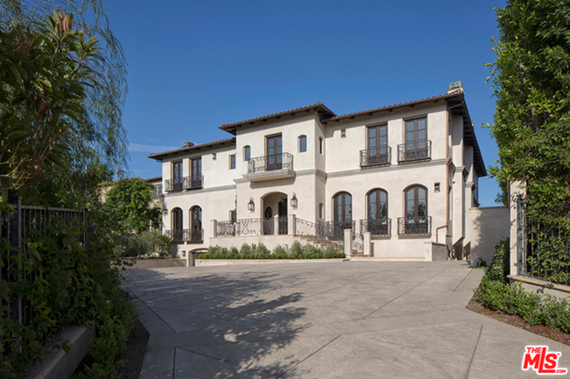 Funny gal Kathy Griffin's new $10.5 million estate in Bel Air is A-list Los Angeles, CA, real estate. The fiery redhead, who loves to rank on the who's who of Hollywood, just snagged this nine-bed, 12-bath property -- coincidentally located next door to one of Kim Kardashian and Kanye West's homes. Although Kimye spend the majority of their time at the main residence in Hidden Hills, CA, you know Griffin got a little satisfaction out of having Yeezy's Mediterranean Bel Air estate next door. Measuring 13,377 square feet, the Mediterranean-style home was built in 2003 but recently renovated. Tucked behind guarded gates in Bel Air, a long, private driveway leads up to the contemporary home that features a welcoming, flowing open floor plan. A gourmet chef's kitchen with a butler's pantry sits adjacent to the family room, which features French doors that open out to the patio and swimming pool. Overlooking the pool and canyons below, the master suite offers a luxurious setup that includes dual baths, spacious closets, and stunning views. 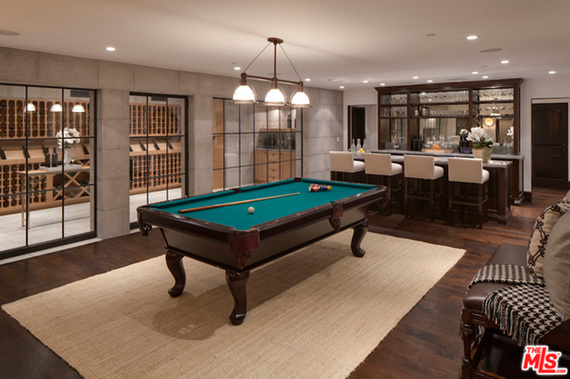 The lower level features a billiards room, wine cellar, home theater, and even staff quarters! And as a special extra, a subterranean car gallery means Kathy will never run out of parking spots for pals like Rosie O'Donnell, Whoopi Goldberg, Lance Bass, and Anderson Cooper. Even though Kathy's got this new Bel Air purchase, her longtime home is a Hollywood Hills property she bought in 2004 for $2.85 million. Maybe her new digs are all a part of her ever-rising business empire: She recently appeared on the cover of Adweek dressed as an Egyptian pharaoh, discussing her various endorsements. Peace out, D-list! This lady's heading straight to the top. Images courtesy of Hilton & Hyland (via The MLS). The listing agents were Drew Fenton and Susan Smith.